Recently the USA, France and UK dropped bombs on sites supposedly used to manufacture chemical weapons in Syria. Whatever your view on this action, one thing is crystal clear. We must always pray always trust almighty God. To say we are living in interesting times; is an understatement. Now more than every we must always pray always trust almighty God. It’s now completely normal to expect the unexpected. Winners lose and people who appear are losing actually win. While the vulnerable suffer without apparent end. Jesus gave us specific instructions when we see all this happening – do not worry, because these things must come to pass. Wow. Essentially we are to always pray always trust almighty God. Do you struggle with the notion of trusting a God you cannot see? You are not alone. Even one of Jesus’s disciples – Thomas, refused to believe Jesus had risen from the dead unless he could put his finger into the holes in his hands. Jesus answered his doubt and will answer yours also. If you believe in God without seeing Him, Jesus called you blessed. It doesn’t mean the person who wants evidence isn’t blessed. Think of it like this. Life after death is based on faith. The faith to believe. For those requiring evidence, its a hard sell, because they will only find out at death. I believe that’s possibly why there’s a final judgement, where God is going to challenge the doubters. We are called to always pray always trust almighty God. 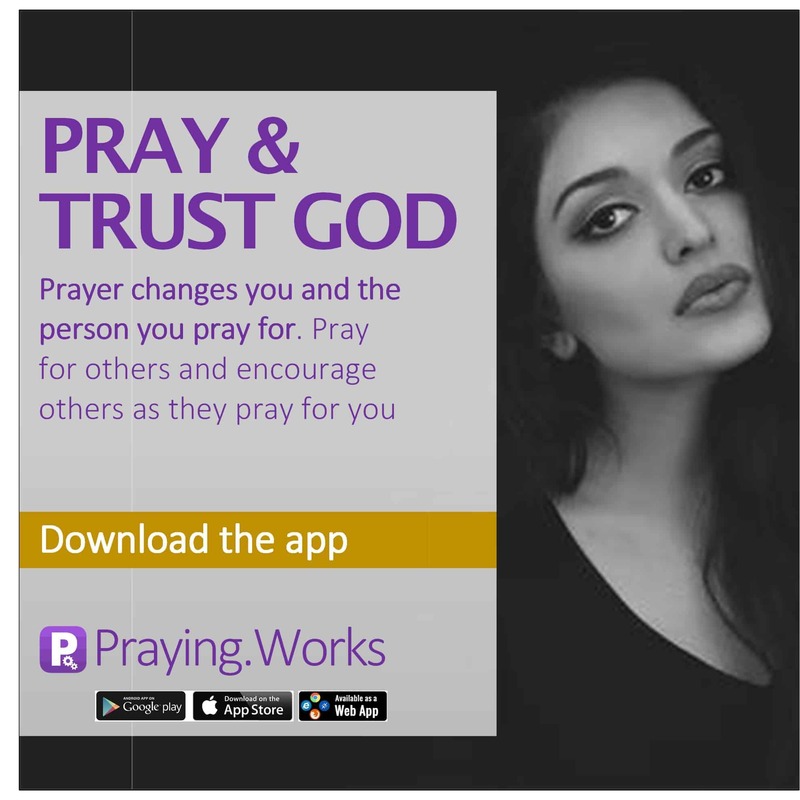 Use Praying.Works and grow your prayer network.